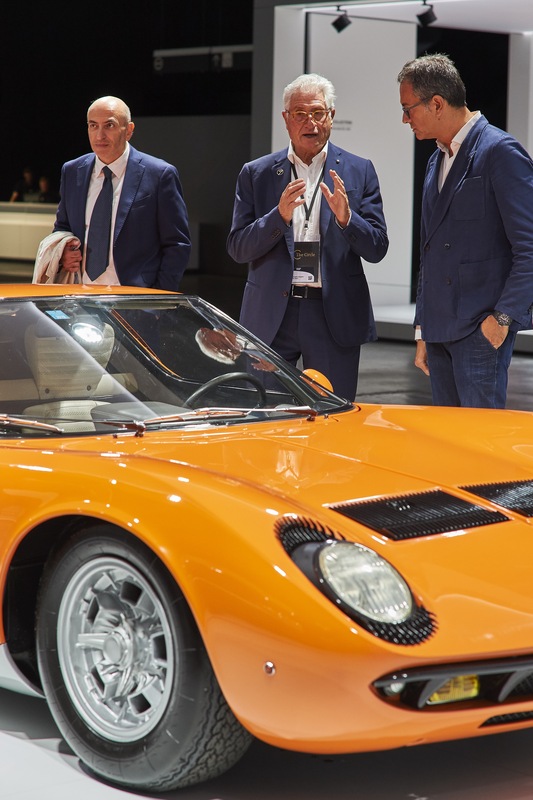 The Classic Car Trust has recently awarded the car designer Giorgetto Giugiaro with The Circle Lifetime Achievement Award 2018. The iconic designer received the award from the founder of The Classic Car Trust Fritz Kaiser. The honorific speech held Antonio Ghini, former Director Global Communication and Brand Management at Ferrari. The ceremony took place at The Circle 2018. The Circle is a meeting of like-minded people, who are dedicated to foster heritage and enjoyment of classic cars. For more information, please read Fritz Kaiser’s introduction to The Circle. Giorgetto Giugiaro is one of the most productive car designers in automotive history. In his career, he has created more than 100 production cars and studies for brands around the globe. This includes both luxury manufacturers like Ferrari, Lamborghini, Maserati, and Iso Rivolta as well as big brands like Volkswagen, Fiat, Renault and Hyundai. We have selected some of the most important cars of his works in our posting Giorgetto Giugiaro and his cars.